Rap artist Young Jeezy has been slapped with a lawsuit for his alleged role in the shooting death of a concert promoter at Mountain View's Shoreline Amphitheater in 2014. Attorneys filed a wrongful death lawsuit against the rapper and presented court documents claiming witnesses can prove Young Jeezy was possibly behind the trigger when Eric Johnson was shot backstage following the rapper's performance with fellow rapper Wiz Khalifa. A stagehand specifically told police on the night of the shooting that "the shooter looked like Young Jeezy," according to court documents. That witness later repeated that account at his deposition. Another stagehand also helped police create a sketch of the shooting suspect. Court documents suggest that the "sketch eerily resembles Young Jeezy." 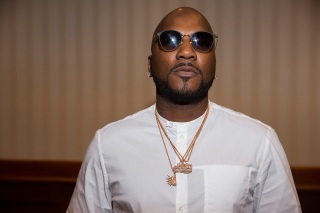 During a subsequent investigation following the shooting, police searched the Young Jeezy's tour bus before arresting the rapper and five others on suspicion of possessing an illegal assault weapon. Those charges were eventually dropped, according to court documents. Officers never identified or arrested a shooting suspect, and the case seemed to fall apart. NBC Bay Area has reached out to Live Nation Worldwide, Inc., which was also named on the lawsuit, for a comment.